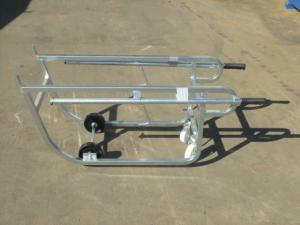 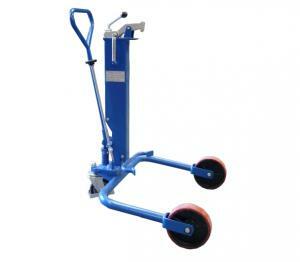 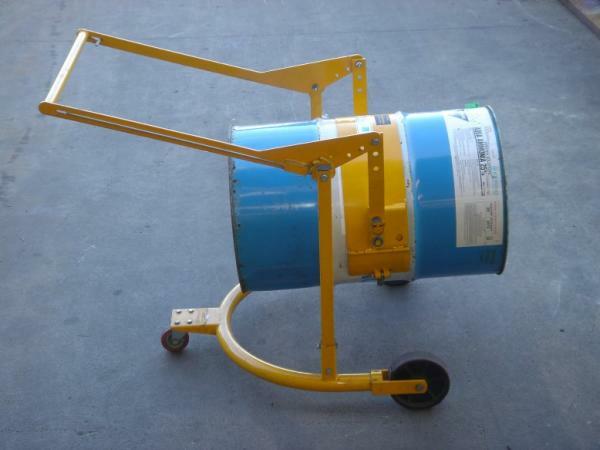 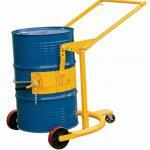 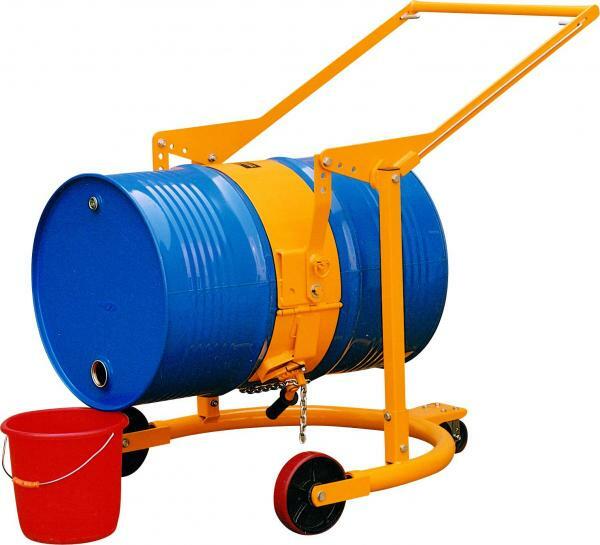 The DHE-HD80A Drum Carrier transports, tilts, rotate and drains fully loaded steel drums. 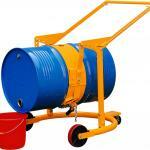 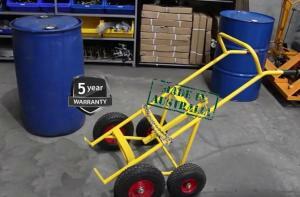 – It can lock a drum in the vertical position to avoid spills or in the horizontal position for draining. 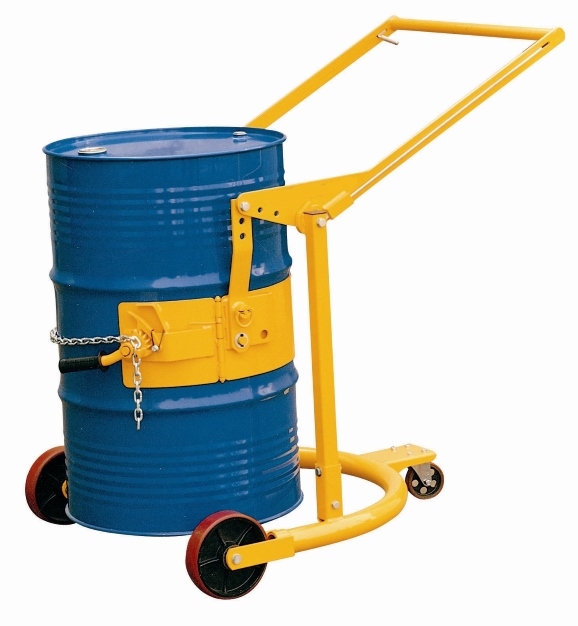 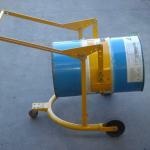 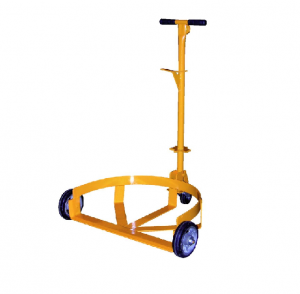 – When the drum is unlocked from the Drum Trolley, the drum may be turned end-over-end to agitate contents, or tipped and held manually at any angle.